With brushed stainless steel housing and sleek brewing controls to match, the Baby Class adds a new degree of elegance to Gaggiaâs original design. The Baby Class features all of the high quality components that have made Gaggia a household name, including a chrome-plated brass brew group, a heavy 58mm commercial style portafilter and a three-way solenoid valve. 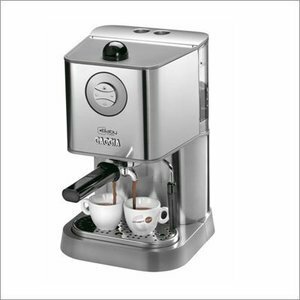 The Baby Class also has a built-in Turbo Frother to take the guesswork out of frothing and steaming. Put it all together, and itâs clear that the Gaggia Baby Class offers the perfect balance between style and performance.